Vendor Stores is now retired. 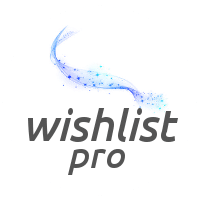 See our new Vendor Marketplace Pro! Looking for a way to create vendor stores in WooCommerce? Need a way to let product vendors sell items on your site? Want to build a multi-vendor marketplace? WooCommerce Vendor Stores is the most powerful multi-vendor solution available for WordPress. WooCommerce Vendor Stores lets you build a multi-vendor store where you control who can sign up to become a product vendor and sell items on your site. Want to build a site like eBay, Amazon, Etsy, Creative Market, or Envato where the site operators take a portion of the money for everything sold? No problem. WooCommerce Vendor Stores lets you do that. Set up your own multi-vendor marketplace fast and easy. We selectively surveyed various people, listened to your requests, incorporated the desired features, expanded upon that with more ideas, and created what is unquestionably the most powerful product vendor stores plugin available anywhere at any price. Read about all the features and learn what it can do for you. With the following details we’re going to explain to how you how this plugin works in great detail – please read the entire explanation carefully. You selectively turn on the ability for people to register on your site and apply to become a vendor using a simple button on their My Account page. When that button is clicked you get a notice that someone wants to become a vendor and selectively approve or deny their request. When you approve a request the person whom you approved immediately gets a welcome message with a link to their new store on your site. At that point they can login, set a store title and description, upload a logo, and start posting products for sale. And, if you have our WooCommerce Auctions Pro plugin installed they could optionally post auctions too if that’s what you want. Or if you don’t want people to post their own products on your site you can set the plugin to disallow public requests to become vendors and optionally post products for your hand picked product vendors instead. In either case, after you have products published that are associated with a given vendor shoppers come to the site and buy those products. When the order is paid for you can either pay the vendors instantly using one of our payment gateways, or you can optionally hold their commission for processing at a later time. 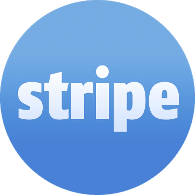 Instant payments currently work with our PayPal Adaptive Payments plugin and our Stripe plugin. Note that you must use our payment gateways if you want to do instant payments, or you can optionally use any payment gateway you want and pay your vendors using the Mass Pay payments features built into WooCommerce Vendor Stores, or pay vendors using any other method that works for you. You control how much commission each vendor gets when their items sell. You can set a global commission that applies to all vendors, or set different commissions for different vendors, and even override commission amounts on a per product basis. You also have the ability to define commission amounts in dollars ( or whichever currency your site uses ) or as a percentage. And to add another level of flexibility you can also choose whether the commission amount is for your site or the vendor or product. You might wonder how you’d handle giving your vendors any shipping fees for their items. WooCommerce Vendors Stores can handle that for you. You can easily enable a setting in the plugin that causes any shipping fees and taxes associated with an order item to be given directly to the vendor of the item. 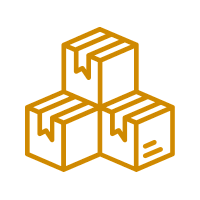 The shipping feature currently works with the Local Delivery and International Delivery methods built into WooCommerce, and it works with Per Product Shipping ( available from WooThemes ), but …. You can also use IgniteWoo’s UPS Drop Shipping, and our Fedex Drop Shipping Pro, our USPS Drop Shipping Pro, our Australia Post & Drop Shipping, and our Table Rate Shipping Pro plugins to ensure your vendors get the shipping costs for their items. And, with our Table Rate Shipping Pro plugin you don’t need Per Product Shipping from WooThemes because our Table Rate Shipping Pro does everything Per Product shipping does — and a whole lot more. 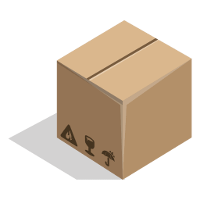 You can also use our PDF Invoices & Packing Slips Pro plugin to allow your vendors to print packing slips directly from their orders. No other product vendor plugin can do all that! Vendors can add tracking numbers to their orders. The vendor can select the shipper from a list of nearly 30 shippers worldwide or enter a custom shipper name if they need to. Vendors also enter a tracking number and shipping date, and check a box if they want the tracking number sent the customer. The tracking data is added to the order as a customer note, and added as order item meta, which lets the shopper see this information underneath every item in their order. And, when the shopper views the order on their My Account page any tracking data in the order is displayed along with a clickable link to track the order online. Vendors can also set a custom order status for the order. The status appears in the order item meta, so the shopper can easily see the status of each item in their order. See the related screenshots in the Vendor Order section below. Your can easily ensure that vendors receive the taxes related to their items. Just turn on that setting, adjust global tax tables and you’re done. No extra plugins are required for delivering the taxes to vendors. If you allow vendors to post products on your site then they do that the same way you would — by accessing the WordPress admin area. But, there are tight controls in place so product vendors only have access to their own products and associated media files. The plugin gives you a considerable amount of control over what types of product data that vendors can use. For example, you probably know that by default WooCommerce lets you publish simple, variable, grouped, and external products. You can selectively disable any of those product types for vendors. The same holds true to most other aspects of products. For example, you can disable the ability for vendors to post downloadable or virtual products, block their access to various product data tabs such as inventory, attributes, shipping, advanced, and linked products. And you can limit their ability to use the SKU and tax settings. Keep in mind these limitations might not currently work with 3rd party plugins. However, the plugin settings page lets you add custom CSS that loads on the product edit page so you can hide any fields you like by using their associated CSS class name or CSS ID. Another powerful feature related to posting products is the ability for you to review every product before it goes live on your site. When a vendor posts a new product the plugin sends you an email telling you about that new posting. You can then review it and decide whether or not you want to publish it. That might become tedious if you have many vendors posting a lot of products, and we realize that, so we’ve added a helpful feature that lets you set a trust threshold level that grants vendors automatic approval for all new products that they post. The level corresponds to the number of published products a vendor already has. For example, you can set the level to 5, and when the vendor has 5 products published with your approval then any new products they post are automatically published. Taking the trust concept a step further, you can selectively add product vendors to a Trusted Vendors list in the product settings. Any vendor in that list gets their products published immediately. Both of these features take a huge burden off you as a site administrator. This feature only works with WooCommerce 2.1.x or newer. Vendors can manage their own coupons on your site if you enable this option in the plugin settings. Vendors configure and publish coupons exactly as an administrator or shop manager would, except that vendors can only edit their own coupons and no others. In addition vendors can only configure the following settings of a coupon: Type ( product discount or product percentage discount , no other types are currently allowed ), coupon amount, expiration date, usage limit per user, limit usage per coupon, included and excluded products ( but only product that belong to the vendor ), and email restrictions. No other coupon settings available in WooCommerce coupons are available for vendors to adjust! On the public side of your site each vendor has their own store. 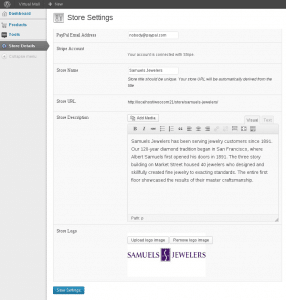 The stores are built using a custom taxonomy in WordPress and WooCommerce. This means you can develop custom theme template files specifically for vendor stores. Refer to the WordPress theme documentation for details on custom templates for custom taxonomies. In terms of viewing vendor stores on your site, you have control over some of the data that might be displayed. For example, you can turn on features that display a “Sold by” label on the product page, add a tab that displays the vendor’s information, add a contact tab complete with super strong captcha technology that lets shoppers ask vendors questions, and more. You can also turn on features that show “Sold by” in the cart and checkout pages for each vendor product in the cart, and also turn on a feature that adds “Sold by” to a shopper’s email receipt. There’s also a widget that can be added to your store sidebar. The widget only shows up on individual product pages and displays the vendor’s logo, store name, and store description, and has a link to the vendor’s store on your site. This works similar to the “See seller’s other items” link you see on eBay auctions. WooCommerce Vendor Stores comes with a slick frontend dashboard designed to give your vendors quick and easy access to their store settings, sales reports, and order information. Insert the dashboard anywhere on your site that you like using a simple shortcode, or use the Vendor Dashboard page that is automatically created when the plugin when you activate the plugin. Vendors also have access to backend admin area dashboard. The backend dashboard is where vendors can adjust their store settings ( store title, description, logo, payment information, etc ). The backend is also where vendors can post new products, edit products, or delete products, and review their sales reports. Below is an example of what that area looks like, this particular image shows the store settings that each vendor has control over. You can enable or disable the vendor’s ability to use HTML in their store description, and optionally disable logos if you don’t want vendor’s putting logos on their stores. You can also disable payment gateway fields if you don’t want to allow vendors to connect a payment gateway to their account on your site. When products are sold on your site each vendors whose items are in the order receive email telling them about their new order. This email looks similar to the standard WooCommerce “new order” email that site operators receive, except that the email sent to the vendor only contains information about their items and no one else’s items. You can also control whether vendors can see the customer’s email address, phone number, and address information. Vendors see a list of their orders in their dashboard and can view the order details, and even add comments to the order. Comments can be private – for vendors and admins only – or for customers, in which case the comment is emailed to the customer when the comment is posted by the vendor. When vendors view an order they can review it, add order notes, and add shipment tracking information. They can also click the tracking link to track their own orders if they need to. ( See the screenshot below for what the shipment and order status settings look like.) After a vendor add shiping info, or sets and order status, that information appears in the shoppers order so when they view the order online they can see that data. And the same information appears when editing an order in the admin area of your site, so you can review if you necessary. Take note that each vendor who has items in the order can set an order status for the items. The status is stored with the item in the order, so when a shopper reviews their order they can see the status of every item in the order. Of course you’ll want to know how much money you’re making and how much your vendors make. WooCommerce Vendor Stores comes with detailed commission tracking interface that records every commission and shows you the amount and whether it is paid or unpaid. Plus, the plugin includes reports that give you this information. And, your vendors get access to scaled down reports that pertain only to their items. The screenshots below are an example of what the reports might look like. Vendor’s can see similar reports, with the exception of recent commissions, which only admins and store manager can see. An obvious question is “How do I pay my product vendors when their items sell?” We’ve given you a ton of flexibility so you have numerous choices. First lets review how vendor commission are recorded. Any time a sale takes place on your site the entire order is checked to determine if any items in the order are being sold by a vendor on your site. Then, when shopper actually makes payment the payment gateway checks all items in the order to determine if each one is sold by vendor. If an item is sold by a vendor then the gateway calculates how much money the vendor should receive for that item ( based on your configured commission settings ), and also checks to see if the vendor has their related payment gateway account connected to their account on your site. If they do then the gateway can pay them instantly if you’ve enabled that option, and the gateway notes that the amount due is being paid instantly. The gateway also calculates how much of the item sale price is due to your site and adds that amount to the total amount due to your store. And if they don’t have the related payment gateway account connected to their account on your site,, or you’ve disabled the instant payments options, then the vendor cannot be paid instantly and the gateway notes that the amount due is unpaid. If an item isn’t sold by a vendor then the gateway adds the entire item amount to the amount due to your site itself. After the order payment process completes, all commissions for vendors are recorded in the database as either paid or unpaid. So that’s the basic flow of the payment process and payment record keeping. With that in mind you have options as how you want to pay your vendors. Option 1: Instantly pay vendors using one of the following payment gateway plugins available from IgniteWoo: PayPal Adaptive Payments, Stripe Payments, or WePay ( currently being modified to support Vendor Stores ). When vendors connect their respective user account on your site to one of the above gateways your site can send them payment instantly every time they sell an item. If vendors opt not to connect their payment account then their commissions are recorded as “unpaid” and you can process those payments whenever you prefer. Make careful note that at this time WooCommerce Vendor Stores can only split payment when you use IgniteWoo’s PayPal Adaptive Payments, Stripe Payments, and WePay gateways. This feature does not work with similar payment gateways built by other developers. We’re currently working on adding Vendor Stores support to our WePay plugin and will release an updated version as soon as we finish development. Option 2: Disable instant payments, use any payment gateways you prefer to collect payments from shoppers, and pay vendors automatically at whatever interval you prefer using PayPal Mass Pay, which is included with the Vendor Stores plugin. This option requires that vendors have a PayPal account and configure their PayPal account email address into their store settings. You can enable an option in plugin that requires vendors to enter their PayPal email address, and they are not allowed to post products for sale unless that address is provided. Mass Pay requires that you have a PayPal Business or PayPal Premier account. Option 3: Disable instant payments, use any payment gateways you prefer to collect payments from shoppers, and pay vendors manually using PayPal Mass Pay, which is included with the Vendor Stores plugin. You can view all vendor commissions using the plugin’s Commissions admin page and export a CSV file of all unpaid commissions, then import that into the Mass Pay interface within your PayPal account to deliver all due commissions. This option requires that vendors have a PayPal account and configure their PayPal account email address into their store settings. You can enable an option in plugin that requires vendors to enter their PayPal email address, and they are not allowed to post products for sale unless that address is provided. 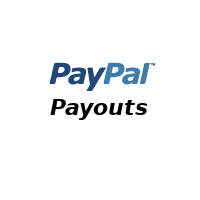 Mass Pay requires that you have a PayPal Business or PayPal Premier account. Option 4: Disable instant payments, use any payment gateways you prefer to collect payments from shoppers, and pay vendors manually using any method of delivering payment that you prefer. Again, you can view all vendor commissions using the plugin’s Commissions admin page and export a CSV file of all unpaid commissions. You can use that CSV to handle your manual payment processing and then mark those commissions as paid. So for example, maybe you want to mail vendors a check each month, or pay them with your bank card somehow, etc. If you have any questions about this plugin, including your particular payment needs, please contact us and we’ll be happy to discuss them with you. Comes with totally awesome support via email and phone! Nobody provides better support than IgniteWoo! Check variable before processing to avoid PHP warning messages on hosts that don't suppress debug output even when WP_DEBUG mode is off. Updated templates to include consideration for the new "Include Shipping" setting. Tweaked processing for vendor access setting. Formerly might not have always showed a button to request vendor access when mode is set to automatic. Remove native WP HTML filters during saves of store description. Ensure necessary classes are loaded during PayPal IPN requests. Intercept POST vars and unset shop vendor when editing a product, this prevents WordPress from interfering since we set the object relationships using our own code.